Marc Thompson is on top of the world—a newlywed with a beautiful wife, the owner of a thriving Boston sports advertising agency, and a century-old home they’re renovating in the suburbs. Then the unthinkable happens. 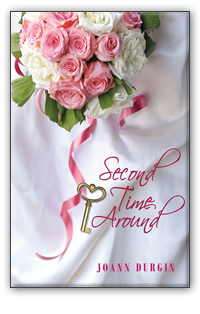 Two months after the wedding, Marc sits in a hospital emergency waiting room after Natalie suffers a horrible fall. One shock follows another. Not only does his wife remember nothing of their life together, but now he has a personal timeline to reconnect with her—seven months. Marc’s gold wedding band mocks him, a glaring reminder of a promise broken by a rotting basement stair and his own negligence. His renowned psychologist advises him to court his wife again—a daunting task the first time around. Then Marc’s pastor suggests he call Sam and Lexa Lewis of TeamWork Missions, a ministry dear to Natalie’s heart. Determined to help her reclaim her life, the young groom makes great strides until a ghost from the past surfaces, opening fresh wounds and threatening to destroy it all. With Natalie’s trust shattered and Marc’s faith wavering, they head to Milestone Ranch outside Helena, Montana, with TeamWork for a two-week work camp. But instead of romancing his wife in the freezing November temperatures with warm fires and shared sweet moments, he’s out in the cold and back at square one. Even if Natalie recovers her lost memories, will she forgive him? If not, can Marc come to terms with his deepest fear—the failure of his marriage? You’ll root for Marc and Natalie as they fight against the odds and discover that surrendering all at the throne of grace doesn’t mean failure. It’s simply called faith. And it might be the only way to finding their way back to one another . . . the second time around.